Where the town meets the country, and where the ocean meets the west coast – Dargaville sits at a crossroads in all kinds of ways. We're also ideally situated between great cultural and artistic events and the old fashioned fun you'd expect from a traditional rural town. From sporting clashes between rivals on the rugby field to equestrian events, the fun of the Field Days and theatrical shows, film festivals and art exhibitions, there's always something to do here in Dargaville. Take a peek at what's coming up – we look forward to seeing you there! 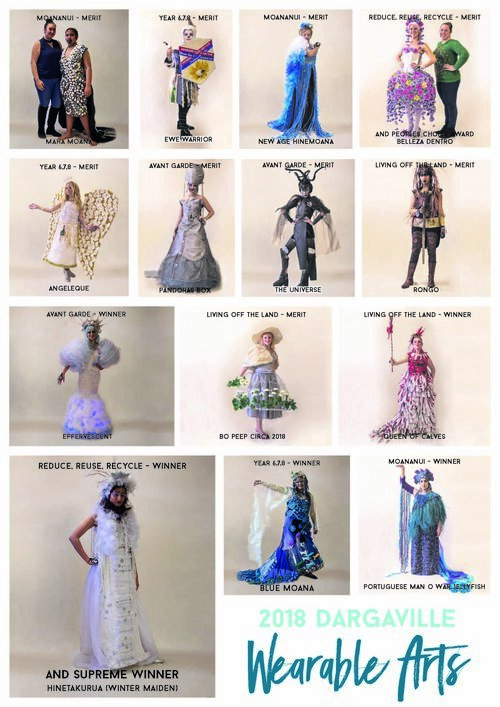 Dargaville Wearable Arts will again be bringing a spectacular of wearable art from across three competition categories. Come and join us at the Dargaville Town Hall. Tickets are on sale now!